It is possible to find the best rifle scopes under $500. Even when you’re on a budget, you’re still going to find that there are a lot of them available. So which one will stand out above the rest? In this article, we’re going to break down five of the best rifle scopes currently on the market for less than $500. Is there a guarantee that you’ll find your next scope here? Probably not. But the five products listed below might just be a good place to start looking. Can You Find A Quality Scope For Under $500? Believe it or not, yes you can. Just because you can find one under $500, doesn’t mean that the quality will be poor. You should also keep in mind that if you’re on a budget, the last thing you’ll ever want to do is sacrifice quality on a scope just because it’s cheap. Find the best quality that you can afford and there’s a good chance that you will be satisfied with your next scope. One of the chief reasons gun owners choose to invest in a rifle scope is because they want to get the best accuracy out of their gun from long range. They know their rifle can fire a bullet that far. But making sure that it hits the target dead-on makes all the difference. Finding a scope with good magnification will make your shot a little more on-point. Nothing is more satisfying than hitting your target at the exact location of where you line up your reticle. Also, you can still get a good shot at your desired distance, even if you can’t look closer due to your rifle’s ability to kick. Eye relief can make or even break your shot, but it comes with the territory, which is to say that the magnification level can pick up the slack. Knowing that your rifle can recoil, you’ll need a scope that gives you good eye relief while giving you a good view of your target at the same time. Below are five of the best rifle scopes that are currently available for under $500. While each has some different features, they have the same purpose of giving you a nice clean shot from a distance. Please review each one carefully as they may be a fit your personal needs. If you’re familiar with scopes, then you’re probably not surprised to see Vortex top our list of riflescopes that are available for under $500. Vortex is one of the more trusted brands for this type of product and for all the best reasons. For one, it is one of the most durable products out there. It is shockproof so it can withstand a great deal of recoil regardless of how long you use it. What stands out other than its durability is the patented Dead-Hold reticle. Not only will you accurately shoot targets at long range, but you’ll be able to choose all kinds of ranges. Of course, the multi-coated lenses allow clear sharp views that will keep bright even when the light conditions are low. Finally, you'll enjoy a zoom range of up to 4x with an easy to adjust side focus that will help you make some small adjustment before you take your shot. Let’s not forget that not only is this sucker shockproof, but it’s also waterproof and shockproof. So, no matter what the weather conditions are, you’re still going to get a pretty good shot out of this. If you want a durable scope that will give you a clear shot and will last you a great while, you might be happy with the Vortex. The Vortex Diamondback is a pretty good scope for your rifle. Even if something does go wrong with it, you know that you’ll have a lifetime warranty that is customer-friendly and you will have a replacement in no time. The scope itself makes a name for itself for being one of the best available for under $500. If you want a device that can last you a long time, the Vortex Diamondback just might be it. If not for Vortex, then obviously Nikon would be considered the top dog when it comes to riflescopes. This is a great choice for a handful of reasons. Number one, this eliminates parallax so you're shooting is at your most precise. The second is the generous amount of eye relief that you get. You can still be able to get a clear view even when you don't look far too close into your scope. Finally, the Nikon is waterproof and fog proof. That, of course, is more than enough confirmation to say that this can withstand bad weather. The Nikon is best known for their unmistakable optics. And you will get crystal clear optics with this scope. Even at distances 100 yards and beyond, it will not disappoint you. So you're certain to get a good accurate shot no matter how far the target is. If you want a product with a high-quality field of view, you'll probably love the Nikon. Once again, we go back to the Vortex brand for this scope review. We all know that Vortex brand scopes tend to be very strong. But can they also do a good job giving you the best accuracy at long range? The answer is yes. The lens has several anti-reflective coatings to ensure that there is no glare, making your shot much clearer than ever. Even at the highest magnification level, you won’t have to worry about wind issues and holdover. Its 30mm tube is designed to be a strong, durable device that can withstand recoil after recoil. And because they’re so confident in it being strong, it’s even back by...you guessed it, a lifetime warranty. Also included with is the zero resettable, tactical style turrets that have marked adjustment rotation indicators so you can accurately dial in your preferred adjustments. If you want a durable product for your long-range rifle, you might be happy with the Vortex Strike Eagle. You can still get some precise aims in, even in low light conditions. Not to mention, the field of view is pretty clear as well. A durable, but clear scope for long-range shooting? If that's what you're looking for, then the Vortex can't be beaten. Illumination is important when it comes to scopes. In low light conditions, you can still be able to get a good shot off with just enough light to see the target. If you want an illuminated option that gets the job done, you'll probably like the Primary Arms Rifle Scope. It is constructed with high-quality aluminum to ensure that it is durable and withstand amounts of recoil with every shot your take. This has a magnification range from 4x to 14x, so you can take your shot at whatever level you see as fit. As for illumination, this is where this product really makes it worth the money. This features six brightness settings and has an "off" notch between each setting. You can still take a clear, bright shot even when the lighting conditions are low. And if something goes wrong with it it's backed by a three-year warranty. Primary Arms will either repair it or replace it. Regardless, you still get a good product with excellent illumination options. For a rifle scope under $500, the Primary Arms does pretty well. You get a durable product that can give you a clear, bright shot every time. As one reviewer says, “a scope like this is hard to find”. So consider yourself lucky if you decide on a product like the Primary Arms. Lastly, we wrap this up with yet another reputable brand for scopes. The Leupold is one brand that gives someone like Vortex a run for their money. Long lasting durability and a lifetime warranty are what set Leupold from most of its competitors. One of the best features that come with a Leupold is it's iconic 3:1 zoom ratio. You can enjoy zooming in on a target and be able to get a good look at your target before taking the shot. 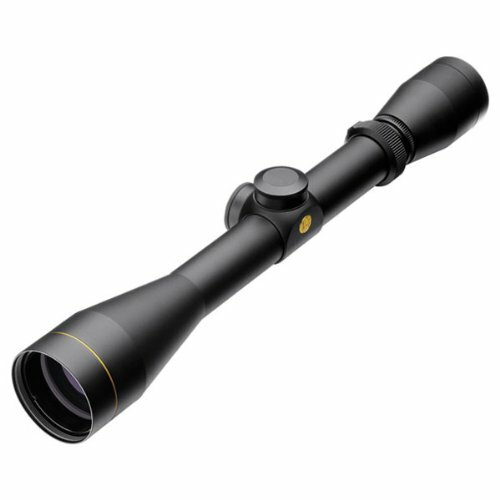 The magnification levels on the Leupold range from 3x to 9x. It's waterproof, fog proof, and even shockproof. Not only will it withstand recoil time and time again, but it will also withstand whatever elements nature throws its way. The Multicoat 4-lens system gives you an edge to edge clarity and a bright picture, even in low lighting conditions. You can easily make adjustments for windage and elevation with ¼ MOA precision finger click adjustments. For hunting situations, you'll want a scope that will last you outing after outing, and season after season. Leupold takes pride in manufacturing a scope that is built to last and gives you an excellent shot every time you use it. If things go wrong with it, you'll know that it can be repaired or replaced thanks to the lifetime warranty. If you want a brand that you can trust for a lifetime, then Leupold may be the brand for you. 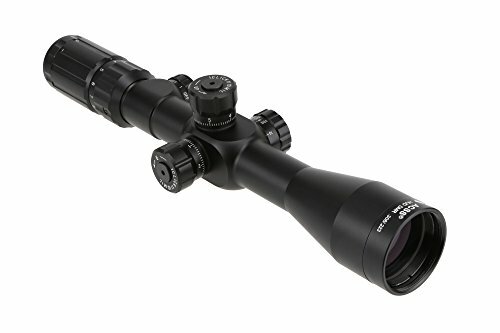 These are the most common type of scopes available in price ranges below $60. A lot of compact rifles come with scopes that are mounted with SKS mounts. Usually, these are mounted to a rifle permanently. The objective lenses are roughly 30mm. The price range is vast for these types of scopes. Low-end prices start at around $30 with the higher end scopes not going more than $500. Obviously, higher quality products will be more costly. Not to mention they usually come with some nifty features like built-in WiFi or a gyroscope (no joke). Laser rangefinders can be dated back to a couple of decades ago. With these types of scopes, they can measure a range of close to 660 yards or longer. 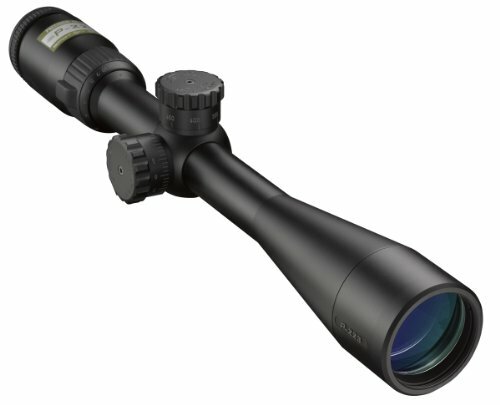 While this started with the now-defunct LRD series scopes, some manufacturers have created similar models. Finding the best rifle scope does not have to be a challenge. Consider the five products listed above or one that is based around your specific intent. You'll never know what you might find in your next scope. But find the one that can last you a long time and make sure your happy with its performance every time you use it.